The bigger the cup, the more sugar, calories, and caffeine it contains. 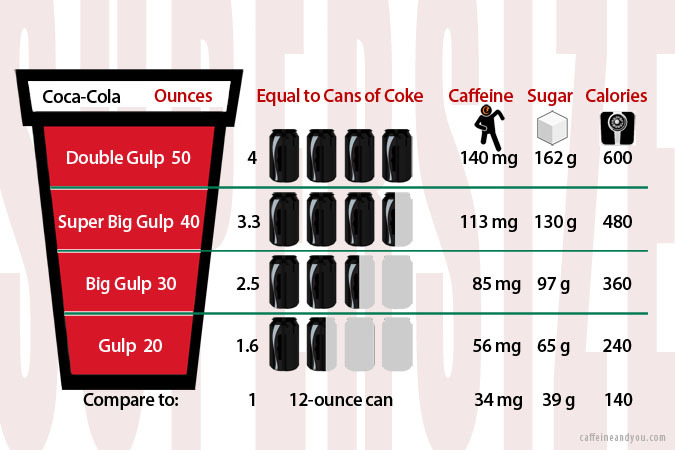 Here’s a look at supersize fountain drink sizes, using Coca-Cola Classic as an example. (Mountain Dew, Sunkist Orange Soda, and Pepsi contain more caffeine; some drinks have none.) Note that ice in a cup will slightly dilute these numbers.